I am excited about our Miami Financial Advisor Forum, “Where Can Smart Beta Take You?” This educational event will occur at the Epic Hotel in Miami on Feb. 24, 2016. For the first time, we will livestream this financial advisor forum. We hope that by broadening access to this event, more of you will find it possible to partake. 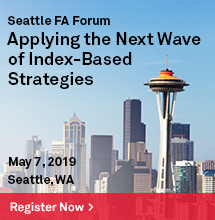 As our title suggests, this FA Forum is geared toward smart beta or factor-based investing. We divided our smart beta education and thought leadership into three areas of interest: The Practitioners, the Gurus, and the Strategist. The Practitioners: Four eminent financial advisors representing large, successful RIA and Wirehouse firms will discuss how they evaluate smart beta and implement it into client portfolios. Combining smart beta with traditional indexing and the alpha that the advisor as a portfolio manager can generate at the asset-allocation level. Different ideas for evaluating and incorporating smart beta into client portfolios to position for growth and opportunities. Ways that smart beta can help to manage downside risk or balance risk across asset classes. The Gurus: The future of smart beta from three of the pioneers who started it. Tom Dorsey, co-founder of Dorsey, Wright & Associates, Jason Hsu, co-founder of Research Affiliates, and Ben Fulton, CEO of Elkhorn Investments, will tell us what to expect and where we are headed with smart beta. Using smart beta and tactical approaches together and how factors are being combined in new index-based products. How new smart beta ideas originate and the ways that these ideas are brought to market. 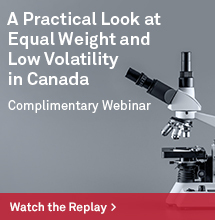 Applying fundamental weighting in indices across all asset classes. 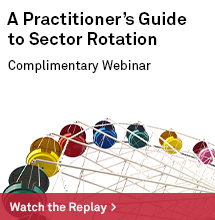 The relevancy of newly indexed factors such as CAPEX to returns and risk. The historic outperformance of strategies incorporating the S&P Dividend Aristocrats Series as a factor-based approach to growing dividends. Using readily available smart beta index data to keep investment strategies relevant. 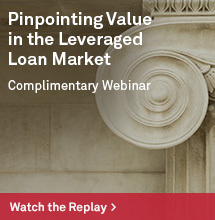 Use of low volatility in lieu of cap weighting as a defensive alternative. I hope that you will join us for this forum—in person, or virtually. It will be a unique opportunity to learn about strategies using smart beta, best practices for incorporating smart beta in portfolios, and where smart beta may take us in the future.